This rustic industrially styled dining table is casual, durable, natural and everything you have come to expect from nature. 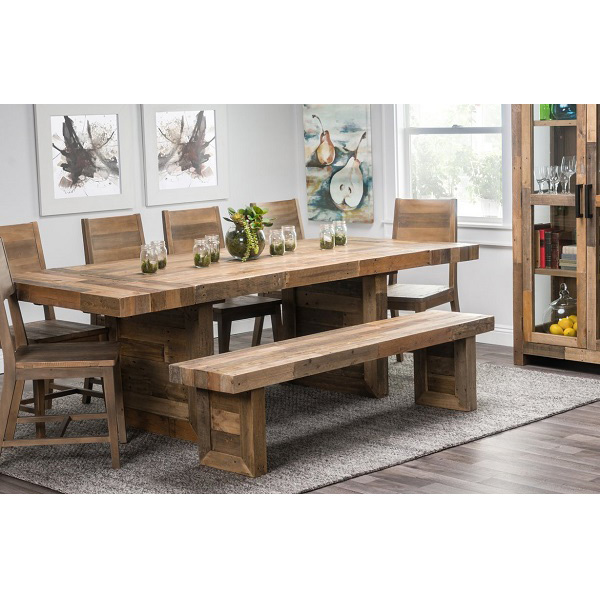 The rustic appearance lies in the solid drift oak with its industrial metal bases. 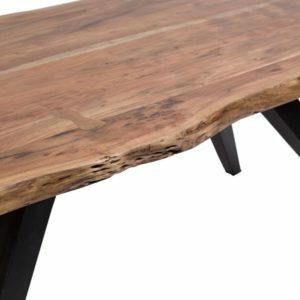 Just like every tree, each piece will have its own unique look and characteristics making it one of a kind. 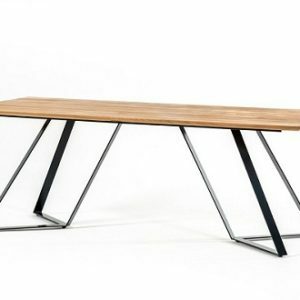 Seats 8 persons. 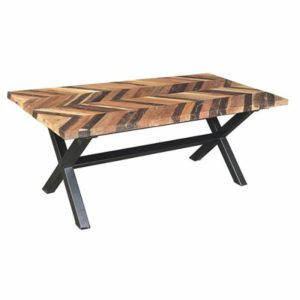 Also see coordinating pieces such as bench and buffet! 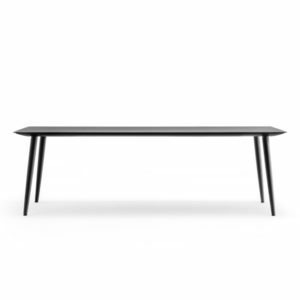 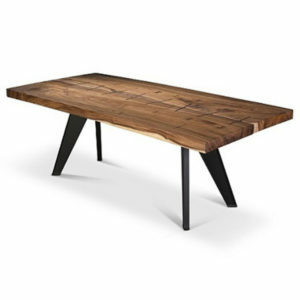 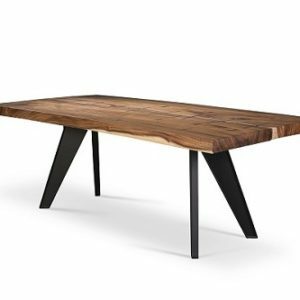 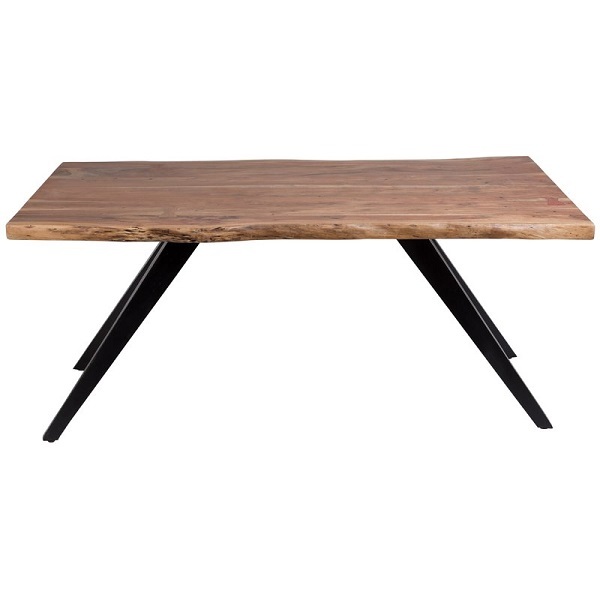 Mid-century design meets sleek, industrial style with this dining table. 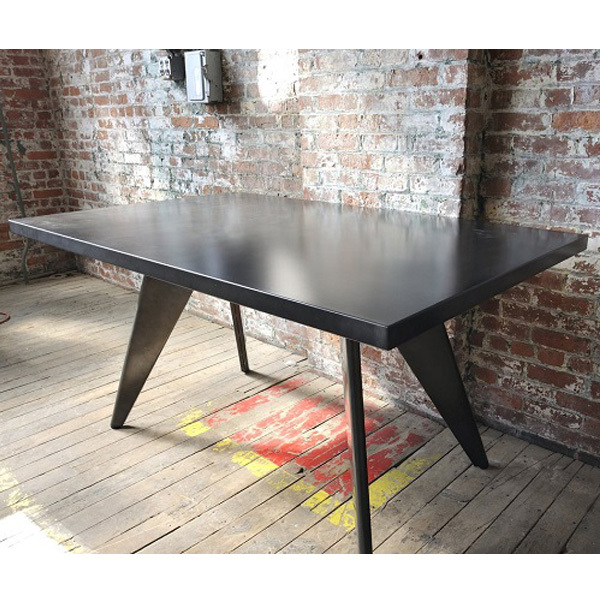 Dark galvanized steel construction can be easily cleaned with a damp cloth and no harsh chemicals. 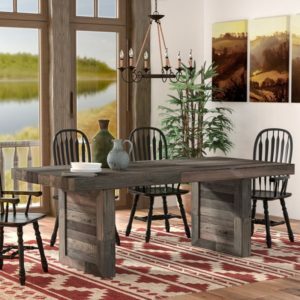 Perfect for urban or rustic settings! 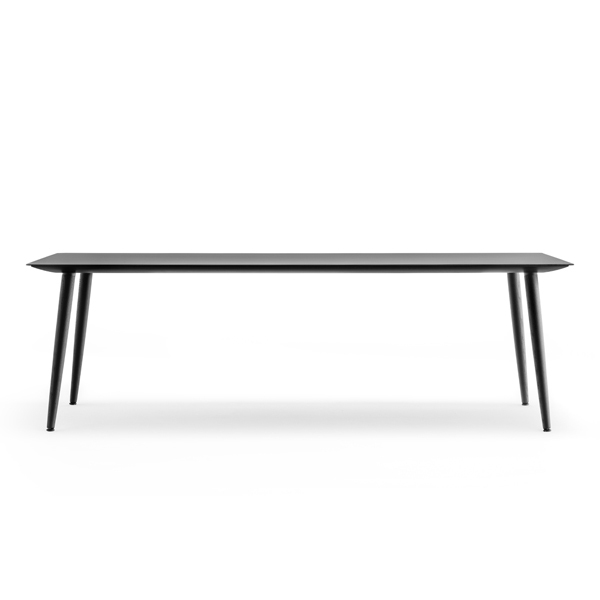 Create an inspired space reminiscent of open warehouses and timeworn factories with the Force dining table. 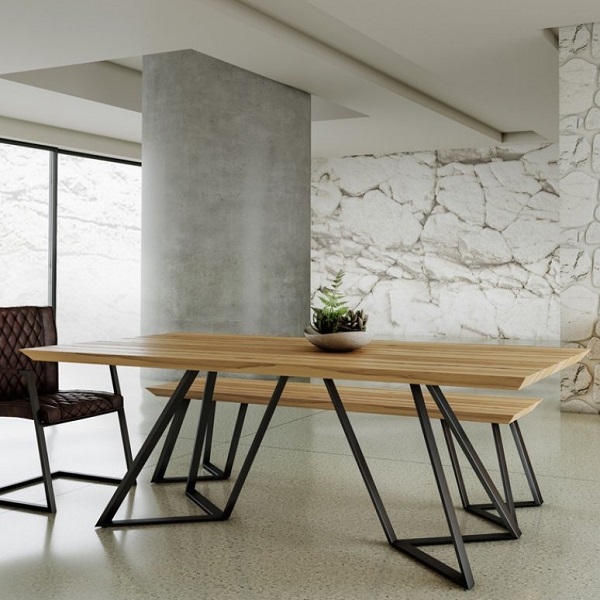 Exposed and raw materials give your space a rugged, on-trend look that pairs with striking accents, clean silhouettes, and well-worn details to accentuate your space in eye-popping style. 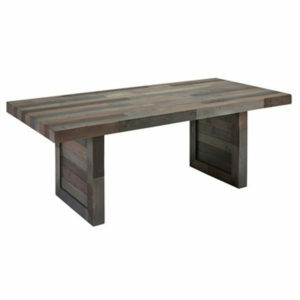 Constructed using various recycled hardwoods, this dining table has a gorgeous finish of varying warm honey and brown tones. 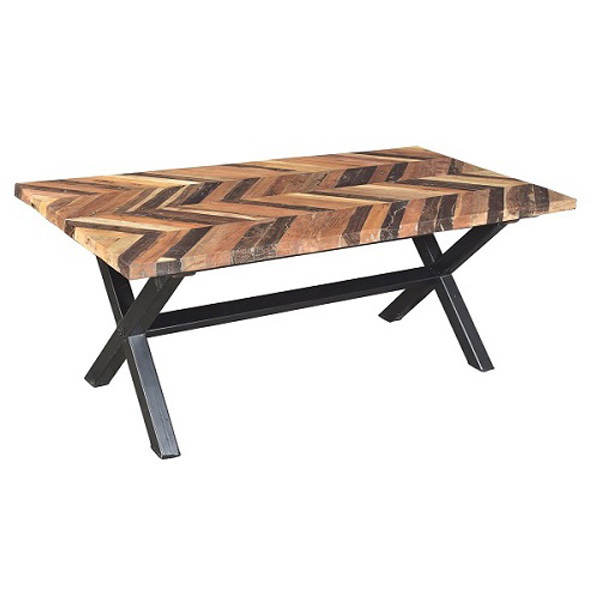 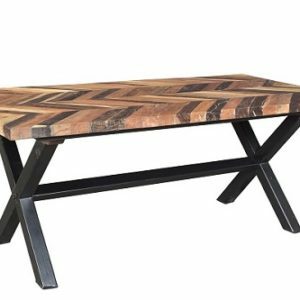 The top has an expertly crafted zigzag pattern, crafted using reclaimed wood. 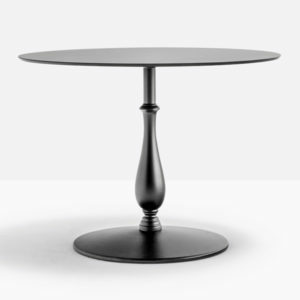 Sturdy with a black iron base! 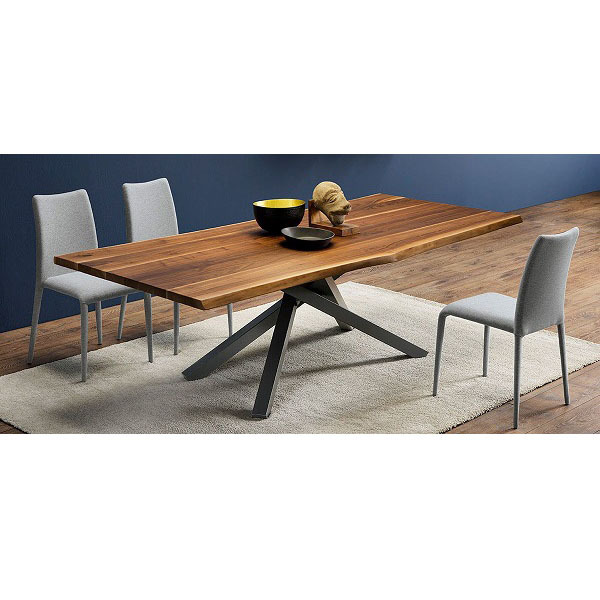 Bring a touch of classic and rustic design into any space with the Furbo 95″ Extendable Dining Table. 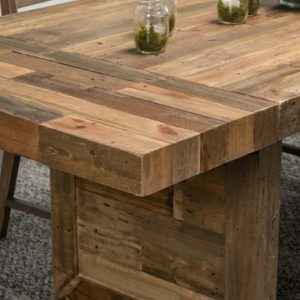 Constructed from recovered wooden shipping pallets, the simple design allows the natural reclaimed sustainable plantation grown pine to be showcased with exposing the knots and natural imperfections of the wood, that make each piece unique and subtly one of a kind. 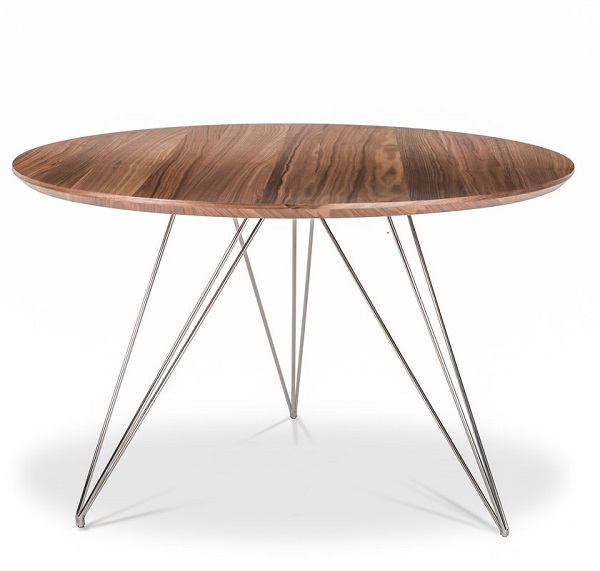 Extends to 95 inches with two leaves, each leaf is 16 inches each; without leaves table is 63 inches. 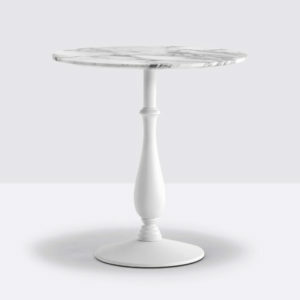 This eco-friendly table combines design and social responsibility into one beautiful collection. The handcrafted nature of this product may produce minor differences with color and or shade. 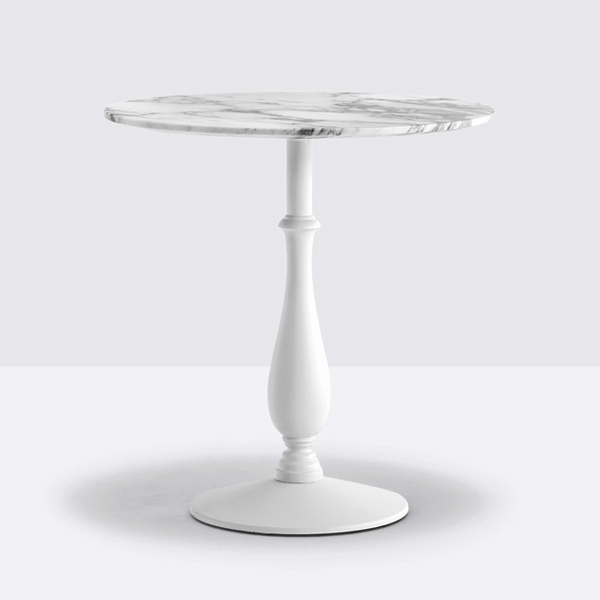 Subtle variations may occur from piece to piece and may not appear exactly as pictured, adding to its unique qualities. 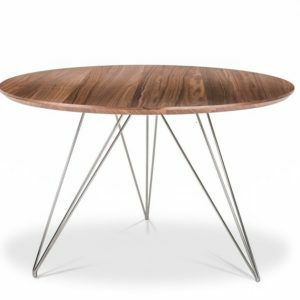 The Gravity Dining Table in natural walnut with polished stainless steel base adds simplicity and elegance to any dining room. 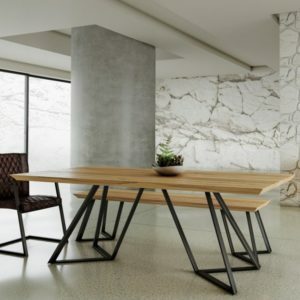 The warm tone of the wood perfectly blends in with the industrial hairpin legs. 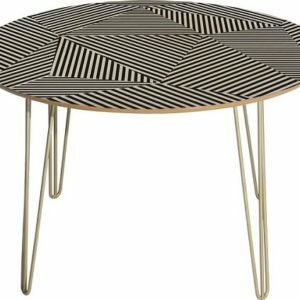 Joey Dining Table features a simple round design, gold finished steel hairpin legs, and a bold geometric patchwork motif in black and cream hues. 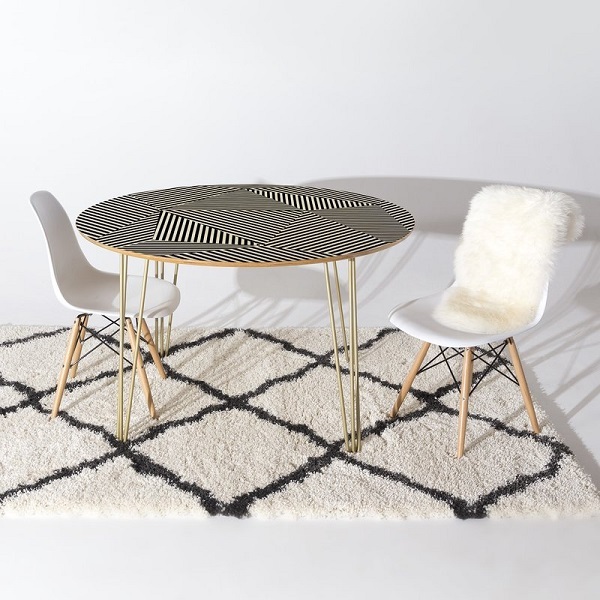 Let it be a chic anchor for a diamond trellis shag rug, then pull up 4 understated side chairs to complete the ensemble in simple style!